This article needs to be updated with material from Historical: Operation Klondike, Era Digest: Golden Century, Wars of Reaving, Shattered Fortress. Once this title clears the Moratorium period, or if it already has, please consider revisiting this article and updating it with the new material, removing this tag once all information has been added. Powerful Clansmen, Clan Ghost Bear is one of the original twenty Clans founded by Nicholas Kerensky. Just like their totem animal, the ghost bear found on Strana Mechty, members of this Clan are known for their conservative nature and their strong sense of family. Among the strongest of the Clans and the most stable, their cautious nature ensures they never rush into a situation unprepared, but also makes them slow to change with their unofficial mantra being "wait and see." Originally of the Crusader mindset, they were one of the four original Clans to participate in the Clan Invasion in 3050, but following the Battle of Tukayyid their philosophy changed towards the Wardens, which they officially announced on the eve of the Great Refusal. Since then the Clan has moved whole-sale into the Inner Sphere where they renamed their realm the Ghost Bear Dominion. Through them, we are strong. Repaid through loyalty undying and Character unflinching. Clan Ghost Bear founders Hans Ole Jorgensson and Sandra Tseng were elite warriors serving Nicholas Kerensky during the Second Exodus from the Pentagon Worlds to the Kerensky Cluster. They were also husband and wife. When Kerensky created the Clans, he decided Jorgensson and Tseng were too valuable to assign together to a single clan and would have separated the pair. Rather than be separated or directly refuse the orders of the Founder, they chose to die together. They traveled into the Antarctic wilderness of the planet Strana Mechty, wandering until their supplies ran out. In a mountain cave, waiting for death, they encountered a ghost bear, a ferocious and (presumed to be solitary) predator. Despite their circumstance, they would not go quietly, and roared a defiant challenge at the bear. The bear did not attack, but circled and investigated until the pair, succumbing to cold and hunger, collapsed into unconsciousness. For unknown reasons, the bear did not take them as prey while they slept, but warmed them with its body, and upon waking, brought them fresh meat to eat. For three days it tended them this way, until they regained their strength. Upon emerging from their shelter, the couple discovered that it had not been one ghost bear which sheltered and nurtured them, but an entire family unit. Inspired, they returned to the Founder and argued for the Clans to embrace the virtues of family and communal strength as a supplement to that of the individual. Hearing their tale, he granted their request to remain together and assigned them to Clan Ghost Bear. The couple easily bested their six opponents when they fought together in their Trial of Position, allowing them to claim leadership of the Clan. With the approval of the Founder, Tseng and Jorgensson set about creating the traditions of family and camaraderie that would come to define the Ghost Bear Clan. On the anniversary of their journey into the wild, the couple led a hunting party back into the Antarctic, where they happened upon a ghost bear. Announcing himself with a ferocious war-cry Jorgensson engaged and defeated the beast in single combat. Shortly thereafter a second ghost bear was encountered by the party and slain by Tseng single combat; according to legend it was the first one's mate, and so fitting that they both were slain by the same couple. By the time ilKhan Kerensky announced that each Clan would be lead by two Khans, the warriors of Clan Ghost Bear had become so accustomed to following Tseng and Jorgensson that the pair were voted in unanimously. Clan Ghost Bear was assigned, with clans Star Adder, Steel Viper and Blood Spirit, to the liberation of Arcadia during Operation Klondike. The Ghost Bears, however, fiercely independent, ignored Star Adder Khan Absalom Truscott plan of operations, landing the first, at two hours of march of his first target, very far of the other clans designated LZ. This caused a big level of casualties between the Adders, including Truscott, as they suffered a massive Arcadian attack. The Bears didn't move to help the other clans, and later refused to coordinate operations with them. The Bears attacked his target, the city of Cyaegha, only hours after landing. It was a hard battle, as the city was the capital of the Nation of Hastur, the largest and oldest power in Arcadia. The battles through the city caused massive damage to the infrastructures (but not so many civilian casualties: the Bears have driven the inhabitants out combining announcements and selective weapon strikes) specially after a stray shot into a grain silo caused a big blast. The wall than separated the slums and the Inner city was a big obstacle, but six Bears volunteers placed demolition charges to the wall and detonated them, opening massive holes in the walls. The shock waves demolished a quarter of the city, but the Bears charged and crushed the Hastur military in barely two hours of fighting. The Ghost Bears ensured the end of Nation of Hastur, helping to rebuilt the city and crushing the last remnants of that state. on day seventeen of the invasion, the Ghost Bears and Star Adders engaged in a battle due to his lack of coordination, but the matter was solved with the mediation of clan Blood Spirit. Later, the Bears begin to cooperate with the other clans to destroy the other proto states of the planet, first of them, the Ravisham Collective, and later, the principalities of Breck and Xanadi, facing a guerrilla war and a very hostile desert and climate. It took years to eliminate all rebels. Shortly after the end of Operation Klondike an event took place which would forever stain the honor of Clan Ghost Bear and lead to a long-standing grudge between them and Clan Wolf. When the Not-Named Clan's actions caused it to be the subject of a Trial of Annihilation, the Ghost Bears had been especially determined to be given the honor of carrying out the execution, but were greatly disappointed when it went instead to Clan Wolf. While the Clan's leadership agreed to abide by this decision, many in the lower ranks were still rankled. As members of the Not-Named Clan scattered to the four winds in an attempt to escape justice, a small group of them were spotted by a Ghost Bear patrol on one of the moons in the Arcadia system. However the patrol's commander, Star Captain Amon, did not raise the alarm and allowed the group to escape. Only on his death-bed did Amon publicly reveal what had transpired, justifying his actions as not being his responsibility: if the honor of destroying the renegades was the Wolf Clan's, then it was their burden alone to do so. Clan Wolf was enraged when it learned of these facts and immediately launched punitive raids on the Ghost Bears. These lasted for several days until Khan Tseng was able to defuse the situation, but the damage was done. Not only would the enmity of Clan Wolf towards Clan Ghost Bear last for generations, many Ghost Bear warriors themselves felt shamed by the actions of Star Captain Amon. Thereafter, every Ghost Bear warrior would take a solemn oath upon being inducted into the warrior caste to hunt down any Not-Name Clan members should they become known, regardless of the circumstances. but they shall not escape the Bear again. During the Golden Century, Sandra Tseng would die against Jaguar Khan Franklin Osis, while protecting her genetic legacy. Khan Hans Ole Jorgensson retired and died ten years later. Clan Ghost Bear would shape the concept of family inside of their clan, deciding to distrust outsiders, however they would change their attitude to a "wait and see" method. The Ghost Bears worked to develop asteroid-mining techniques for metal and minerals. This would make them profitable among the Clan Homeworlds. While the idea of returning to the Inner Sphere - the Hidden Hope Doctrine - had been a part of Clan society since its inception, it wasn't until 2980 that this concept began to once again take root in the minds of Clan members and form what would become the Warden and Crusader political factions. The Political Century would start in 2984 as scattered intelligence reports regarding the Periphery sparked the imagination of many and began a great debate between those who wished to protect the Inner Sphere and those who wished to retake it at the head of an invading army. At the time Clan Ghost Bear was of the Crusader mindset and its Khan Nadia Winson, was at the forefront of the arguments for conquest. Captured as isorla from the Warden-minded Clan Wolf, Khan Winson was a staunch Crusader and, with support for her cause swelling among the Clans, called for a vote on the issue in the Grand Council in 3000. Clan Wolf stymied the invasion by instead proposing the Dragoon Compromise. Ostensibly serving as a means of gathering intelligence on the state of affairs in the Inner Sphere, it not only led to the creation of The Wolf's Dragoons but ultimately delayed the invasion for fifty years, by which point Khan Winson would not be able to participate in the invasion. The arrival of the ComStar ship Outbound Light in 3048 necessitated an immediate vote to invade the Inner Sphere, which was again opposed by Clan Wolf. In the resulting Trial of Refusal Clan Ghost Bear fought alongside Clan Smoke Jaguar against the Wolves, narrowly defeating them. In the process of that combat though both Khan Nornian Tseng and saKhan Ursula Jorgensson were killed by the Wolf Khan Ulric Kerensky, leaving the Ghost Bears leaderless. In the resulting vote to replace them the Ghost Bear warriors were inspired by a speech given by Kerensky to the Grand Council wherein he commented that new situations required new thinking. Ignoring tradition they elected Karl Bourjon and Theresa DelVillar as Khan and saKhan. The Ghost Bears fought bravely in the ensuing trials to determine which four Clans would constitute the initial invasion force, taking their place alongside Clan Wolf, Clan Smoke Jaguar and Clan Jade Falcon. A basic plan of attack was hammered out in the Grand Kurultai and the Ghost Bears were assigned a route through the Draconis Combine and Free Rasalhague Republic. In determining how best to prepare themselves to face the enemy Khan Bourjon anticipated facing little enemy resistance and wanted to avoid burdening the homeworlds. The Ghost Bear's invasion force therefore carried with them the fewest supplies of any Clan. In the opening moves of Operation Revival the first worlds attacked were those along the Periphery, lightly-held targets protected by weak and unorganized forces. Though the Ghost Bears were able to take these planets easily, such lopsided battles also engendered a false sense of confidence amongst themselves and under-appreciation of Inner Sphere forces. When the invasion proper of the Inner Sphere began the going was much more difficult: while they were able to win some impressive victories in the first two waves, notably Thule and Jarett, many more were less than amazing. The Ghost Bears were further hampered by inadequate logistical support, while in several cases the small garrison forces left behind on these worlds were overrun by local rebellions, requiring troops to be shifted back from the front lines to retake them. The result was a Ghost Bear advance which was rapidly falling behind that of the other three Clans. With their invasion of the Inner Sphere floundering, the Ghost Bear Khans were convinced by ilKhan Showers that the capture of Rasalhague would help revitalize their effort; it would also slow down Clan Wolf's dizzying pace, as the world was close enough to their invasion corridor to be a legitimate and prestigious target. The third wave of the invasion would be focused on capturing the key world of Last Frontier, defended by the 1st Freemen, as a stepping stone. Both Khans led their warriors in battle to victory against the green Rasalhague troops, but a chance LRM shot mortally wounded Theresa DelVillar, forcing a quorum of Bloodnamed warriors to be gathered to elect a new saKhan. Ghost Bear warriors caught off-guard by Inner Sphere perfidy during the battle for Susquehanna. By a narrow majority the Clan's Oathmaster, Star Captain Aletha Kabrinski, was voted in as the new saKhan, and for her first act she publicly criticized Khan Bourjon's poor strategic skills and incompetent execution of the invasion. Her condemnation was echoed by many of the assembled warriors, and she challenged the Khan for his position, nominating in her place the aerospace pilot Star Colonel Bjorn Jorgensson. By a vote of no confidence Karl Bourjon was stripped of his position and, with unanimous support, Bjorn Jorgensson became the new Khan. Bourjon challenged Jorgensson to a Trial of Refusal to keep his position, choosing to fight in his 'Mech against Jorgensson's Kirghiz fighter, but the battle's outcome was never in doubt and Jorgensson officially became Clan Ghost Bear's new Khan. Khan Jorgenson instituted a number of reforms, most importantly contracting the hated Clan Steel Viper to garrison several of their worlds, in order to free up more troops and reorganize the war effort going forwards. This delayed the crucial bid for Rasalhague until 7 July, which took place aboard the Clan Wolf flagship Dire Wolf. The bidding that followed was intense and well-bargained, but when the cutdown dropped below five Clusters Jorgensson realized he would lose, and so drove the opposing Wolves down to three in order to weaken them as much as possible. To the surprise of everyone else, the Wolves succeeded in conquering Rasalhague with just three Clusters, and the help of bondsman Phelan Kell, over the course of fifteen days. Nevertheless, the Clan continued to see success as it moved forward with the third and fourth waves of the invasion, capturing a large number of worlds. More importantly was a change in policy towards the conquered populace, treating them with more sympathy and presenting a more positive image of the Ghost Bears, though it would take many years for this new attitude to bear fruit. The fourth wave of the invasion would come to a sudden halt with the unexpected death of ilKhan Showers and the invaders were forced to return to Clan space to elect a new leader. A number of other important changes, in both policy and politics, were also implemented during this period. Clan Ghost Bear's Merchant Caste were directed to create an unbroken supply chain from the homeworlds to the Inner Sphere, bringing an end to the materiel shortages which had previously bogged down the invasion and laying the groundwork for future events. As well the ritual of zellbrigen was to be dispensed with when dealing with any Inner Sphere military unit, not just dezgra mercenaries, unless they were willing to accept it. More privately, saKhan Kabrinski gradually began to shift her views from Crusader to Warden, though for reasons not entirely understood, bringing her into line with Khan Jorgensson's own well-concealed beliefs. This change in political attitude at the top of the Ghost Bear hierarchy had a trickle-down effect on many of the Clan's warriors, who began changing their own views as well. The fifth wave of the invasion was a stunning success, culminating in the capture of eighteen Inner Sphere worlds including Alshain, the capital world of the Draconis Combine's Alshain Military District. This vital strategic and industrial center would be turned into the Ghost Bear's headquarters as the fifth wave continued on with no end in sight. In the wake of the defeat on Tukayyid and honor-bound to heed the fifteen-year truce imposed upon them, the Ghost Bear Khans decided to put their efforts into strengthening their vast holdings in the Inner Sphere. Not only were several ambitious industrial expansion projections begun and the merchant caste (under warrior supervision) allowed limited trade with the Inner Sphere, but the occupation of conquered worlds was ended and their local governments put back in power. While these efforts proved fruitful, expansion had stymied by 3054, a result of the months-long delay in travel between the homeworlds and the Inner Sphere. Resentment was also growing between those left behind in the Kerensky Cluster, who had to make do with meager resources, and those living on the bountiful worlds of the Inner Sphere. Thus Khan Jorgennson proposed a bold plan to move his Clan wholesale into the Inner Sphere and, as per Clan traditions, put the matter to a vote by the whole warrior caste. The motion passed and beginning in early 3055 the relocation effort got underway. The impressive scale of the undertaking was overshadowed only by the fact that the Ghost Bears maintained absolute secrecy; though the relocation was not against any laws or traditions, it would certainly result in the other Clans launching predatory attacks to take advantage of the situation (as what happened to Clan Nova Cat). Only Clan Snow Raven, the Bears' perennial allies, were privy to the plan, and were instrumental in converting the mothballed Leviathan-class dreadnoughts into Ark-Ships for the migration. It was not until the move was nearly complete - the last Bear ark-ship leaving Clan space in early 3060 - that a formal announcement of their relocation had been made, and by then the reborn Second Star League's Operation Serpent task force had landed on Huntress. In the Great Refusal that followed, Khan Jorgennson famously and controversially renounced the Crusader cause, allowing the Ghost Bears and other Warden Clans to extricate themselves from the Trials. Apart from their enclave on Arcadia, granted to them by Nicholas Kerensky himself, and their traditional outpost on Strana Mechty, the Ghost Bear Clan succeeded in their relocation to their Inner Sphere Occupation Zone, which was renamed the Ghost Bear Dominion. What's more their move was vindicated when, in the wake of the Great Refusal, a motion to Abjure the Clan was hastily proposed and subsequently defeated. Tensions between former citizens of the FRR and the Ghost Bears were also eased as those living within the Dominion were granted a great deal of freedom, including in how they were ruled, while the Ghost Bears themselves began to embrace the Inner Sphere's way of life. While removed from the events of the FedCom Civil War, the Ghost Bears became embroiled in a conflict with the Draconis Combine when rogue elements raided their new capitol of Alshain. When Clan Hell's Horses took advantage of the situation to attack their bitter rivals in early 3063, the Ghost Bears managed an honorable end to the conflict with the Combine and turned their attention to the Hell's Horses. Such was the quickness and the fury of their counter-assault that not only were all of the Hell's Horses gains reversed, but they themselves were completely ejected from the Inner Sphere when the Ghost Bear Clan conquered all three of their worlds. The Ghost Bears would go on to capture Gunzburg and, eventually, Rasalhague itself from Clan Wolf, the instigators of the Hell's Horses' attack. The Ghost Bears deployed forces to Tukayyid while the world was blockaded by the Word of Blake, forces which arrived on the 11th of July 3070 and destroyed the Blakist ships in the system. This was followed shortly by Ragnar Magnusson speaking to the Free Rasalhague Republic government on Orestes on the 21st of August, where Magnusson spoke on behalf of the Ghost Bear Dominion, beginning negotiations for an accord that would represent "all Rasalhagian peoples." On 21 December 3074, the Clan deployed three Galaxies to Luthien, to fully exterminate all Word of Blake forces. The operation was complete by the end of the month. The Clan also wiped out the Word of Blake forces on Pesht during the same time-frame; in both instances, the Ghost Bears fought without once offering zellbrigen to any Word unit, and any DCMS forces that attempted to interfere with the Ghost Bear campaigns were destroyed as well. The Ghost Bear forces then abruptly withdrew from both worlds in mid-January 3075, leaving the Combine scrambling to find relief forces to fortify the worlds; the DCMS units that arrived in the wake of the Ghost Bear actions found no sign of any Blakist troop presence. Just as they had intervened on Pesht and Benjamin without any announcement, warning or discussion, the Ghost Bears soon embroiled themselves in the conflict for the hidden Word of Blake facility known as the Ruins of Gabriel, concealed in the Odessa system of the Lyran Alliance. Having been driven from the system by a coalition of allied forces, the Blakists had recaptured the facility in mid-April 3075, and proceeded to fight the initial counter-attack in mid-May by Lyran and Clan Wolf-in-Exile forces to a standstill. The Ghost Bears jumped to the Odessa system on the 21st of May, arriving via a pirate point, and ordered the Lyran and Wolf-in-Exile forces to stand down, crippling a Lyran WarShip that didn't follow their order. The Ghost Bears then attacked the Blakist forces at the Ruins of Gabriel, but were unable to prevent the Blakists from scuttling the facility and escaping. The Ghost Bear forces in the Draconis Combine continued to advance in August 3075, striking at the Word of Blake forces on Alya, Cebalrai, Eltanin, Kaus Borealis and Vega. The 7th Bear Regulars and the 69th Provisional Garrison Cluster were early casualties of this wave of planetary assaults; the Blakist troops on Cebalrai resorted to detonating a large neutron bomb as a part of their desperate defense, and the resulting blast wiped out both Ghost Bear units along with the remaining defenders and thousands of civilians. On the 14th of September, 3075, a small diplomatic party led by Devlin Stone traveled to Kaus Borealis to meet with the Ghost Bears, seeking to enlist the Ghost Bear's assistance in the growing allied coalition against the Word of Blake. The mission was successful, with the Ghost Bears agreeing to help a week after the first meeting. This was followed on the 6th of October by Ghost Bear forces assaulting the occupied worlds of Ascella, Kaus Australis and Kaus Media, although the advance on Ascella stalled when Blakist Pocket WarShips attacked the Ghost Bear DropShips as they were inbound to the planet, destroying half of the Ghost Bear ships. In early November 3075 the Ghost Bears sent a delegation to meet with Clan Snow Raven in the Outworlds Alliance in a bid to negotiate for the Snow Ravens to commit to supporting the coalition. By mid-December these negotiations had been successful and the Ghost Bears were able to assault Ascella for a second time, this time with assistance from Snow Raven support assets. Devlin Stone and a coalition force arrived in the Ascella system at roughly the same time, and also assaulted the Blakist forces on the planet; while the Ghost Bears battled for control of the primary industrial complexes and planetary spaceport for two weeks while the Blakists employed scorched earth tactics constantly against them, Stone's Lament captured both the HPG compound and Ascella's capital city in only a week. The delegation headed up by Aletha Kabrinski and sent to negotiate with the Snow Ravens left the Outworlds Alliance on the 16th of February 3076, escorted by the two naval Stars of ships the Snow Ravens contributed to the coalition. While the Ghost Bears continued to conduct operations against the Blakists, Clan Diamond Shark initiated a Trial with the Ghost Bears on the 7th of May 3076, winning the right to establish a trading enclave on Tukayyid. The combined Ghost Bear and Snow Raven forces launched a number of major assaults in July and September 3076, with the first wave in July striking at the Protectorate worlds of Dyev, Kervil, Ko, Lambrecht, Moore and Sabik, followed by a second wave in September that expanded the combined Clan front against the Protectorate by striking at Lyons, Pike IV and Skandia. The Ghost Bears chose to respond to a mutiny at home in the Ghost Bear Dominion among certain Rasalhague units by stalling their combat actions against the Word of Blake Protectorate to allow them to return all of the deployed units that were ethnically Rasalhagian commands back to Dominion space to deal with the mutiny. The various units departed for Dominion space on the 5th of November, and by the end of December the revolt had failed, with the various Free Rasalhague resistance groups in Dominion space going dormant. In early December 3076 a news report entitled "A Time of War" produced by the interstellar news company INN contained opinions from an INN Senior Analyst named Farouk O'Reilly on the major contributing factors behind the genocidal tactics the Ghost Bears had been using against the Word of Blake. O'Reilly cited the apparent death of Khan Bjorn Jorgensson in the terrorist bombing on Arc-Royal in 3073, the Blakist attacks on Tukayyid and later Radstadt and, most of all, the destruction of almost the entire Tseng Bloodhouse. While the article couldn't confirm the rumors that House Tseng had been destroyed, it led to speculation that only the Ghost Bear Loremaster Laurie Tseng and a handful of bloodnamed warriors had survived an attempt to eliminate the entire Bloodhouse, and that the damage inflicted on the house had been administered via some sort of gene-tailored bio-weapon. The Dominion world of Alshain was rocked by a terrorist bombing on the 31st of December 3078, for which the Motstånd terrorist group claimed responsibility. The explosion killed several hundred Rasalhagian and Ghost Bear civilians, several members of the Unity Council and the former First Prince, Christian Månsdottir. Ghost Bear paramilitary police pursued the Motstånd leadership as a result, killing Albert Gronvold-Minami on Stanzach on the 2nd of January 3079, and nearly capturing Cilla Amdahl a week later on Tinaca. Clan Ghost Bear would take their final departure from the Clan Homeworlds and into the Inner Sphere. They were targeted by the Home Clans due to their "tainted" status in the Inner Sphere. As a result, their blood chapels would be targeted along with their territories. The Bears would gather their final convoy and leave the Homeworlds for good. They would be considered abjured with the other clans. The Ghost Bears took an active part in Operation SCOUR, the four-pronged invasion of the Word of Blake Protectorate conducted by the allied coalition assembled by Devlin Stone. Prominent actions the Ghost Bears were involved in included the campaign to liberate Asta in March 3077 which saw the noted officer Andrew Redburn rescued from captivity after being presumed dead years before on Tukayyid, as well as joining with DCMS forces in October to liberate Dieron, one of the largest coalition deployments of 3077. In 3103, the Ghost Bear Dominion was renamed the Rasalhague Dominion. It is ruled by the Dominion Council. While they had few official ceremonies and customs, the Ghost Bears could be defined by a number of broad traditions which were reinforced through education and the military chain of command. First among these traditions was a high value placed on the virtue of strength. MechWarriors and even aerospace pilots underwent the same hand-to-hand combat training as Elementals, and every year teams from every Galaxy competed in a Clan decathlon. The winner of these contests earned considerable respect and a seat at the head of the table in the celebratory feast afterwards. This virtue was limited not just to physical strength but also strength in purpose and character, a factor which has helped the Clan survive even their own self-inflicted wounds. This reverence for strength was perhaps best personified in the Clawing Ritual, a rite of passage undertaken by only the bravest Ghost Bear warriors. Every year the highest-ranking unClawed warrior in each Cluster traveled to Strana Mechty, where they participated in a month-long period of reflection and purification led by the Clan Loremaster. Once this period was over, the candidates were grouped by Galaxy into hunting parties, given basic provisions including a simple metal spear and hunting dogs, and entered the planet's punishing Antarctic region to kill a ghost bear and bring back its carcass as proof. This ritual, an attempt to relive the experiences of the Clan's founders, resulted in less than half of the hunting parties returning from their journey, and fewer still successfully, though usually at least one party would return with a ghost bear. Amid a great ceremony, the ghost bear was skinned, its pelt fashioned into cloaks for the victors, and its flesh roasted and eaten by all so that they may ingest a portion of its essence. While there was no dishonor in failure, those who survived the Clawing were destined to rise to the Clan's highest echelons. Initially, the ritual demanded a return to Strana Mechty, but after the clan moved to the Inner Sphere, they introduced the Ghost Bear to several planets, successfully. Another defining aspect of the Clan was the concept of family. While the word soon became repugnant to other Clans, for the Ghost Bears it had unique value given their founding by a married couple. Tseng and Jorgensson did their best to impart a sense of camaraderie and fellowship among the first warriors, to make them a true family and create stronger ties beyond that of a normal military unit. While the intensity of these feelings faded over time as the Clan grew in size and new practices such as the iron womb became normal, the general sense of being part of a family remained. Lifelong friendships were common among the Ghost Bears, and many warriors maintained tight bonds with their trothkin and Starmates. This valuing of family is also visible in the political arena: unlike in other Clans, a Bloodname is not required for participation in the Clan Council and all Ghost Bear warriors are allowed a vote. The Ghost Bears were perhaps best understood by the phrase "to tread without care is to court disaster." What started as a general tendency became an overarching philosophy among the Clan: one must take measured steps going through life, and partial commitment to a cause is worse than none at all. Nothing was undertaken without due consideration, including the introduction of new technologies and concepts. For example, when faced with a new battle tactic, a decision of whether to adopt it or not would be made only after careful testing and observation, typically while another Clan employed it in actual combat; if proven to work it would then be adopted wholeheartedly by the Ghost Bears. This virtue also expressed itself in another tradition, that of the Great Work. Kilbourne Jorgensson, an accomplished sculptor and musician, worked on a life-size sculpture of the ghost bear he killed during his Clawing throughout his entire life. When asked one day if he was nearly finished, the Khan cryptically replied "When I am finished, so will the statue be finished." He died in battle later that month, and his sculpture gave rise to the idea of each person creating their own "Great Work" to express dedication to a long-term goal or cause. By tradition every warrior (and many lower caste members) is expected to begin a Great Work after they have come of age, whether it be a painting, a musical composition or some other artistic work, and work on it little by little each day. Sometimes a Great Work will be a collaborative effort among trothkin, especially for Works of great size and complexity; these have extra value as they also emphasizes teamwork. The Work is performed or displayed at the warrior's funeral ceremony, included in their Codex after death, and put on perpetual display near their Blood Chapel in Svoboda Zemylya on Strana Mechty. Through most of their history the Ghost Bear touman was one of the largest of the Clans, thanks to the easy access of raw material during the Golden Century, a slow and steady build-up of forces and, following the disaster at Tukayyid, keeping large-scale conflict to a minimum. Due to their wealth the Ghost Bears were able to build up their touman as they saw fit, rather than develop their combat doctrine around what was available, and took a methodical, thorough approach to warfare. A preference for speed and strength means they not only employed heavier-than-average BattleMechs, but also ones whose powerful weapons arrays could compromise their armor and heat sinks. 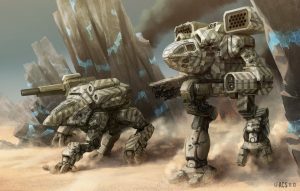 In particular the Mad Dog and Executioner were highly favored as heavy-hitting platforms which featured a variety of ranged weapons (though after Tukayyid they tended more towards energy weapons), while the heavy Viper served as the Clan's primary scout. A strong affinity for Battle Armor meant the Ghost Bears fielded perhaps the largest contingent of Elementals of any Clan - using the nominally weak but ultra-fast Fire Moth as their primary carrier - and were the only ones with an entire Galaxy of these armored troopers. Many of the Elemental tactics pioneered by Kilbourne Jorgensson, an Elemental himself, were used to great effect long after his passing, with only Clan Hell's Horses boasting more expertise in this area. If the Ghost Bears' touman had a flaw it was in their aerospace arm which, while often considered small and second-rate, was still capable of defending their ground forces from an aerial assault. Compared to other top-heavy Clans the Ghost Bears maintained an open command structure with greater flexibility. Warriors were expected to innovate and think for themselves while also deferring to their superiors and the overall battle plan. Training was intense and emphasized physical strength and personal combat skills among all warrior types, while failure in an aspiring warrior's Trial of Position did not result in their downgrading to one of the civilian castes. In an attempt to avoid wasting the cadet's early training, they would instead be shifted to another warrior sub-caste based on their aptitude tests, where they would hopefully succeed. Only if the cadet failed to earn a position in their new sub-caste would they be relegated to a civilian position. The general cultural emphasis on family meant Ghost Bear military units benefited from an unrivaled esprit de corps. Their move from the Pentagon Worlds to the Inner Sphere also necessitated the development of a highly advanced logistical system, a factor which has helped them in maintaining their spread-out forces. However, the typical Ghost Bear mindset was not without its flaws. While the bonds of true friendship could inspire great acts of heroism, they could also cause warriors to take unwise risks on behalf of their trothkin and lose sight of the true objective. This can also cause problems when introducing new warriors to an already-established team or when attempting to reform a unit out of the surviving fragments of older ones. For this reason, transfers took place at the Star or Binary level rather than individually. The Ghost Bears' conservative nature also meant they were less inclined to adopt new weapons and tactics until after a lengthy testing and observation process so as to not disrupt the rank and file with unproven technology and thinking. The Ghost Bears are unique for having never adopted the aerospace pilot genetype for their trueborn warriors. Instead, Ghost Bear pilot bloodlines differ little from MechWarrior ones. This decision was made by Ghost Bear scientists who felt that the loss in physical strength and stamina was not a worthy trade-off for the slight advantages of seeing further and thinking quicker. The Ghost Bear viewpoint was seemingly vindicated during Operation Revival, when Inner Sphere pilots proved every bit the equal to their genetically engineered counterparts. ↑ Field Manual: Warden Clans, p.79, Clan Ghost Bear. ↑ 10.0 10.1 10.2 10.3 Tukayyid, pp. 48-56 "Campaign: Clan Ghost Bear"
↑ 11.0 11.1 11.2 11.3 Invading Clans, p. 29 "Tukayyid: World of Fate"
↑ 12.0 12.1 12.2 12.3 Field Manual: Warden Clans, p. 82 "The Roaring Bear"
↑ Jihad Turning Points: Luthien, p. 7, "Alpha Galaxy [Clan Ghost Bear]"
↑ Jihad Turning Points: Luthien, p. 11, "Damnation"
↑ Jihad Hot Spots: 3076, p. 55, "Timeline of the Jihad"
↑ 22.0 22.1 Jihad: Final Reckoning, p. 53, "The Jihad In Review"
↑ Jihad Hot Spots: Terra, p. 14, "Timeline of the Jihad"
↑ Jihad Hot Spots: Terra, p. 16, "Timeline of the Jihad"
↑ 25.0 25.1 25.2 Jihad: Final Reckoning, p. 54, "The Jihad In Review"
↑ 26.0 26.1 Jihad Hot Spots: Terra, p. 18, "Timeline of the Jihad"
↑ Jihad Hot Spots: Terra, p. 19, "Timeline of the Jihad"
↑ 28.0 28.1 28.2 Jihad: Final Reckoning, p. 55, "The Jihad In Review"
↑ Jihad Hot Spots: Terra, p. 20, "Timeline of the Jihad"
↑ Jihad Hot Spots: Terra, p. 21, "Timeline of the Jihad"
↑ 32.0 32.1 Jihad: Final Reckoning, p. 56, "The Jihad In Review"
↑ Jihad Hot Spots: Terra, p. 23, "Timeline of the Jihad"
↑ Jihad: Final Reckoning, p. 60, "The Jihad in Review"
The text in this article is based on this revision of the Wikipedia article "Clan Ghost Bear" used under the terms of the GNU Free Documentation License. 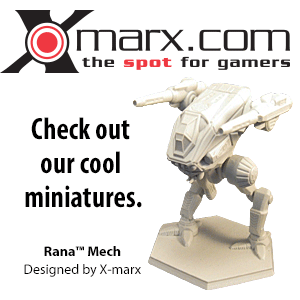 See the BattleTechWiki's copyright notice.